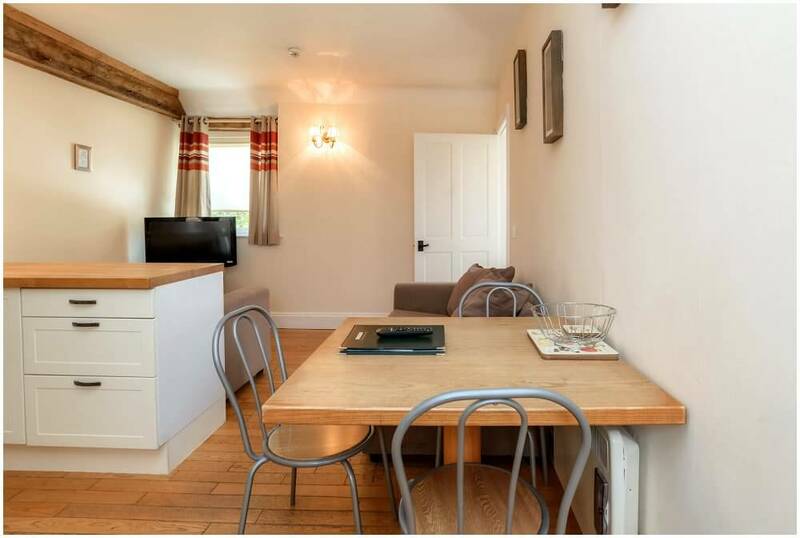 Self Catering Hazel Cottage is nestled between a grassed area and a walled courtyard, popular with many returning guests. 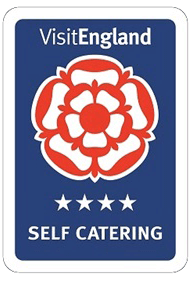 It has been redecorated and refurbished to provide a fabulous and stylish accommodation. 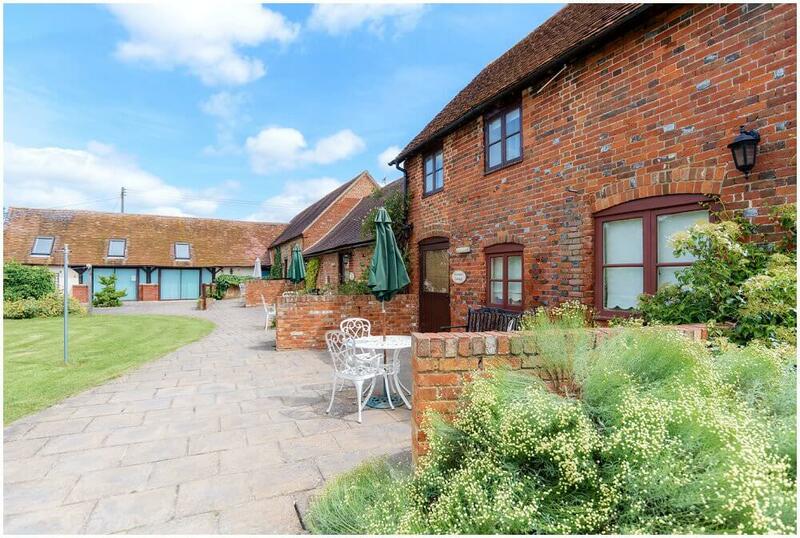 Kingfisher Barn is exceptionally proud of Hazel Cottage, with its walled courtyard. 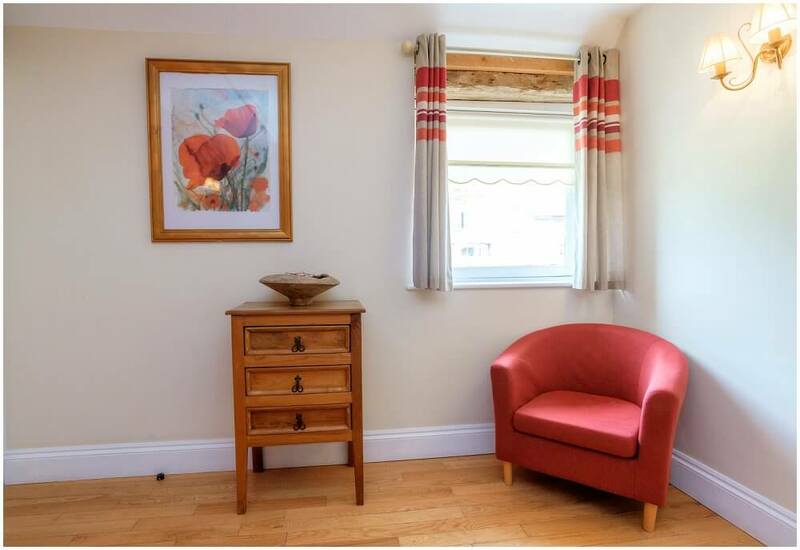 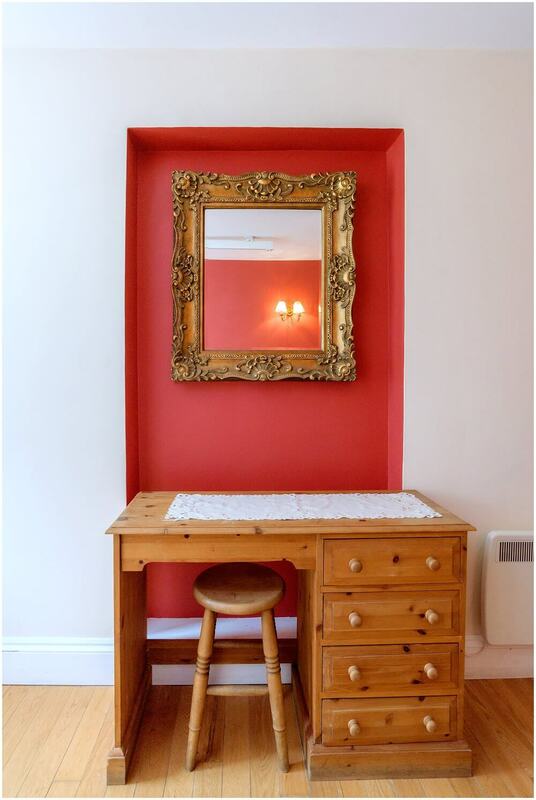 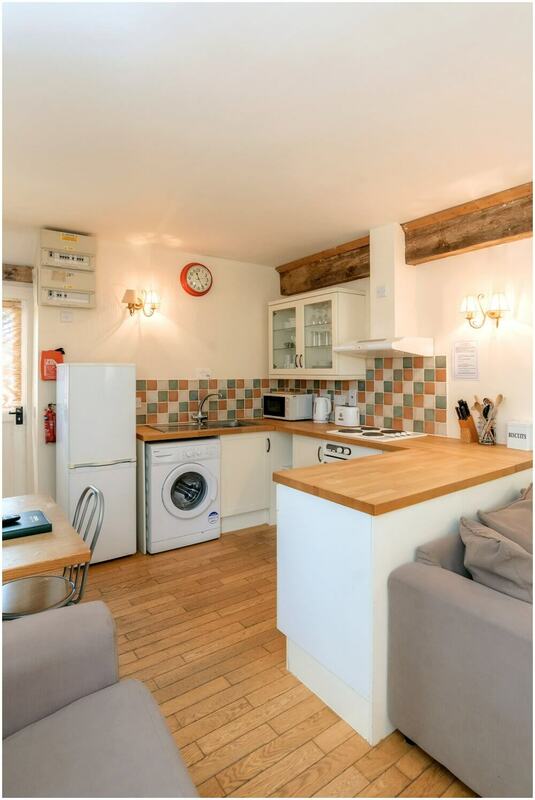 This delightful cottage is just one of our properties that have been adapted to accommodate wheelchair users. 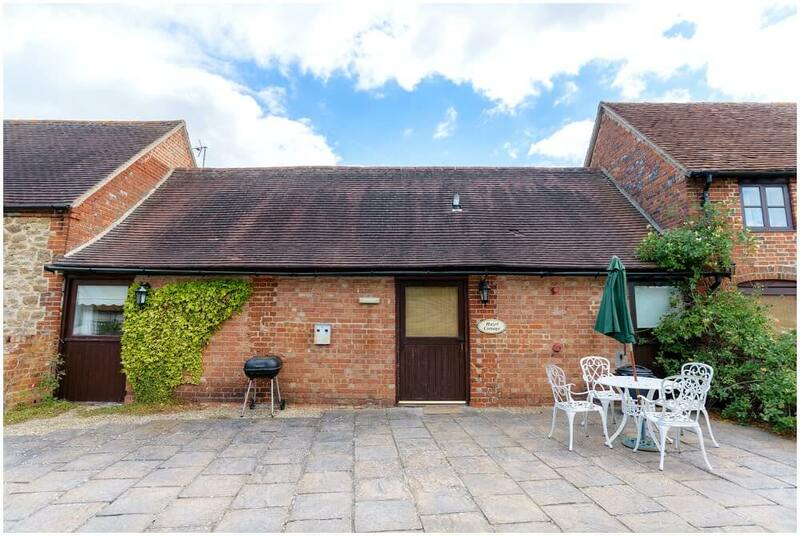 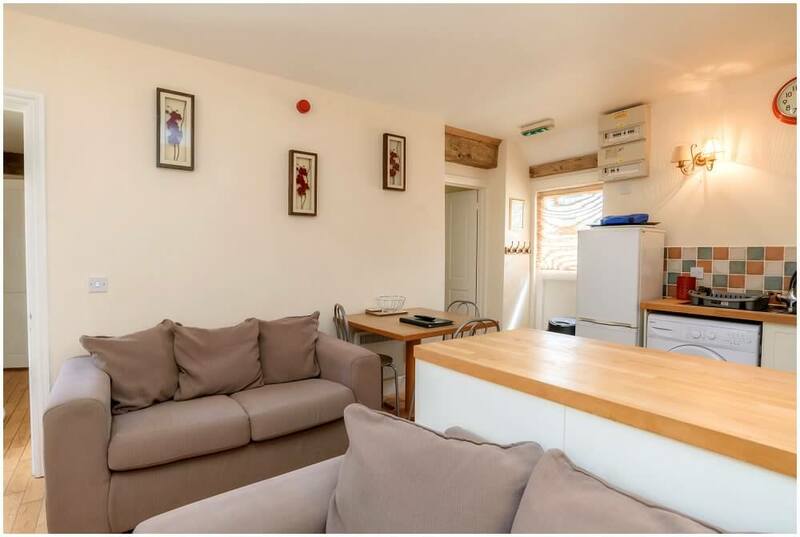 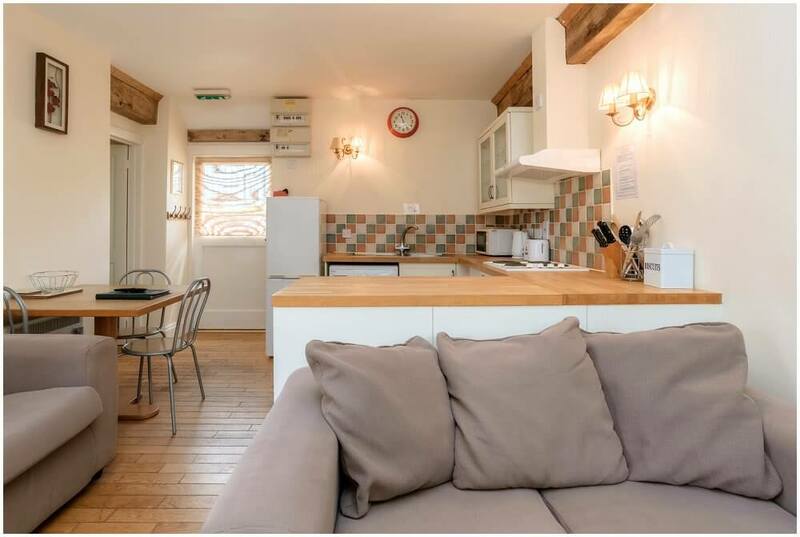 This cottage has an entrance on both sides; this means you can sit out and have coffee in the morning sun and a glass of wine in the evening sun. 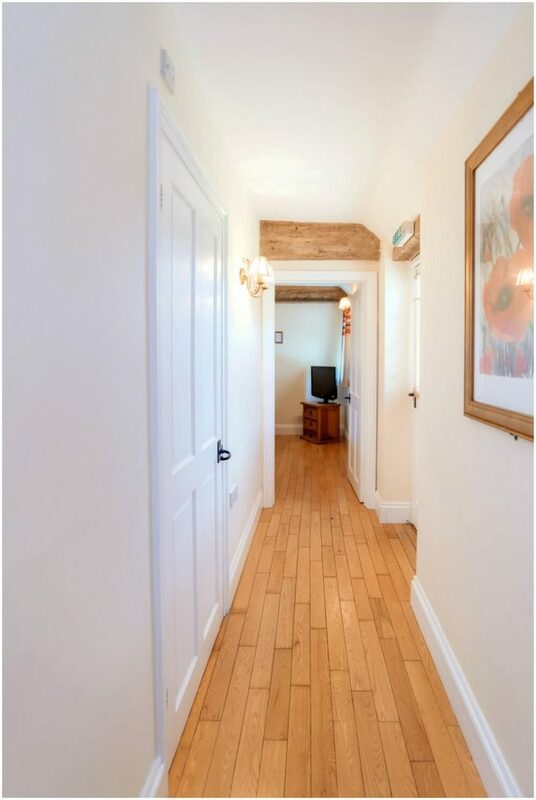 With a wide and low-level front door, this allows for easy access into the accommodation, and all rooms are set on the ground floor. 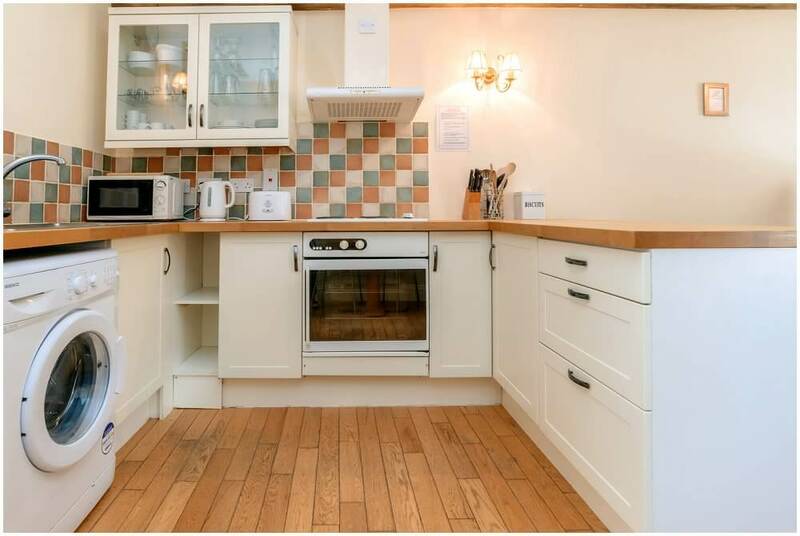 Self Catering Hazel Cottage has a fully fitted kitchen with a cooker, fridge/freezer and microwave. 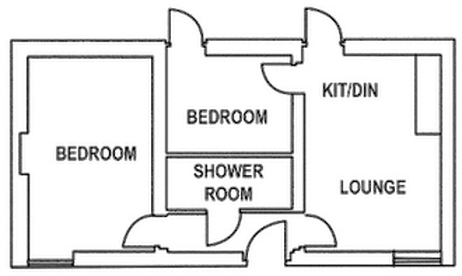 Turn left into the Cottage to find the larger bedroom, complete with a Wispa ceiling track. 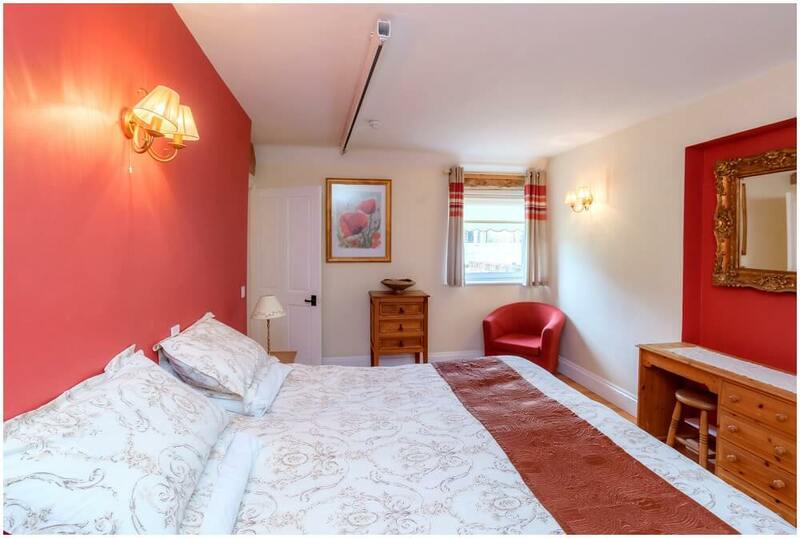 Next to the main bedroom is the shower room, also fitted with ceiling tracking and shower chair available on request. 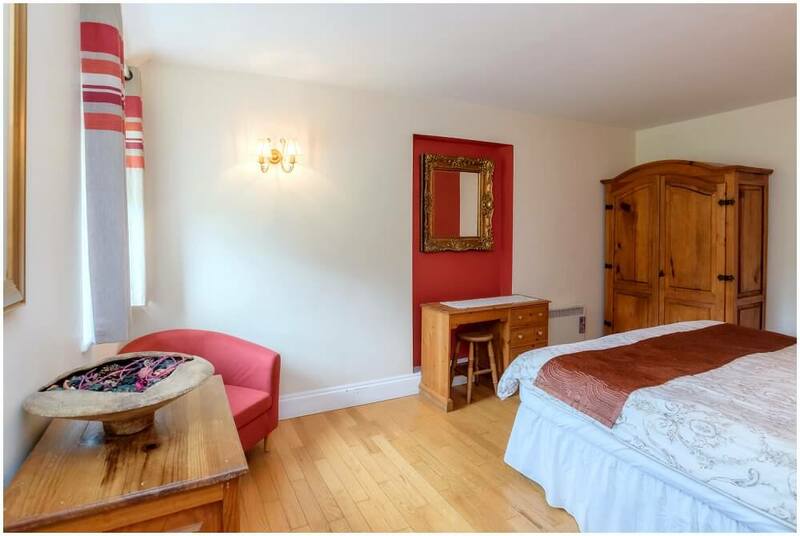 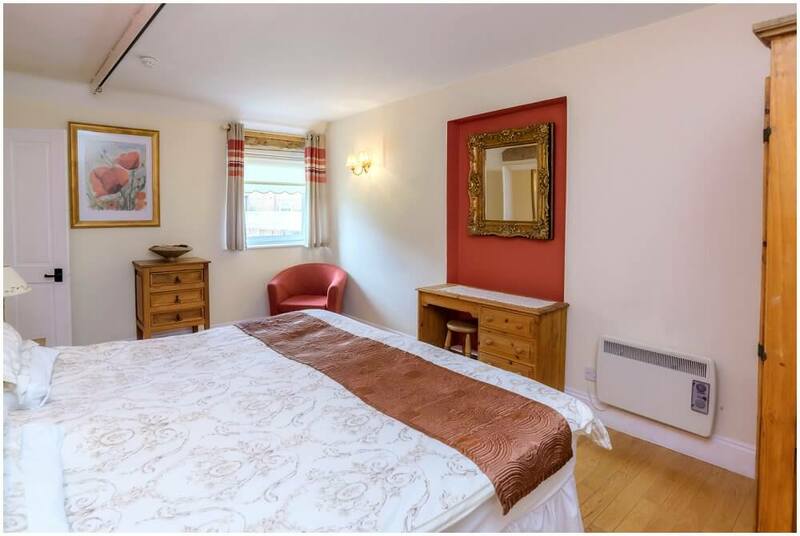 At the far end of the cottage, just off the kitchen, is a cosy second bedroom with a pull out bed. 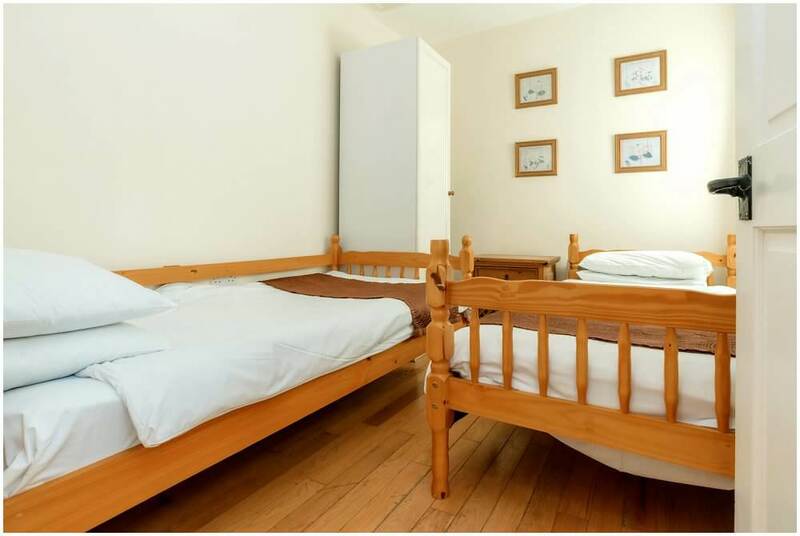 The bed can sleep two adults, completing the layout of this versatile accommodation. With easy access and some dedicated equipment, Hazel Cottage is the perfect place to enjoy a quiet getaway. 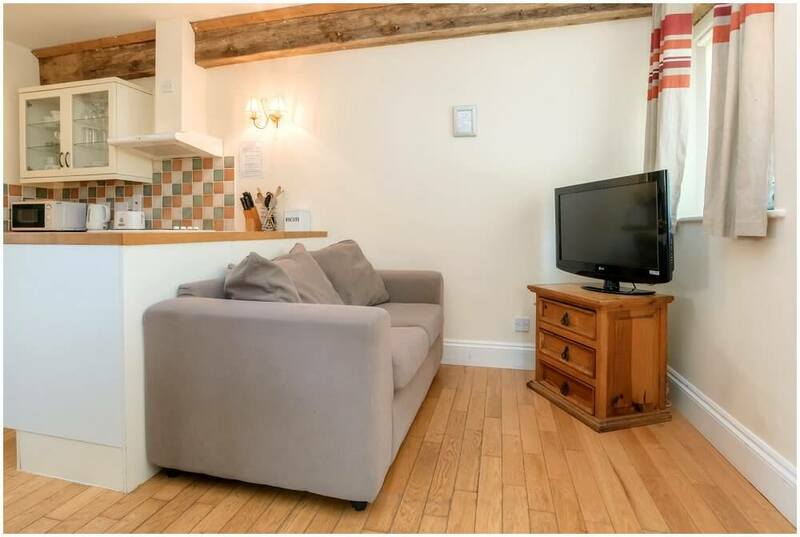 The Self Catering Hazel Cottage is nestled between Granary and Stable Cottage and shares the same view of the gardens. 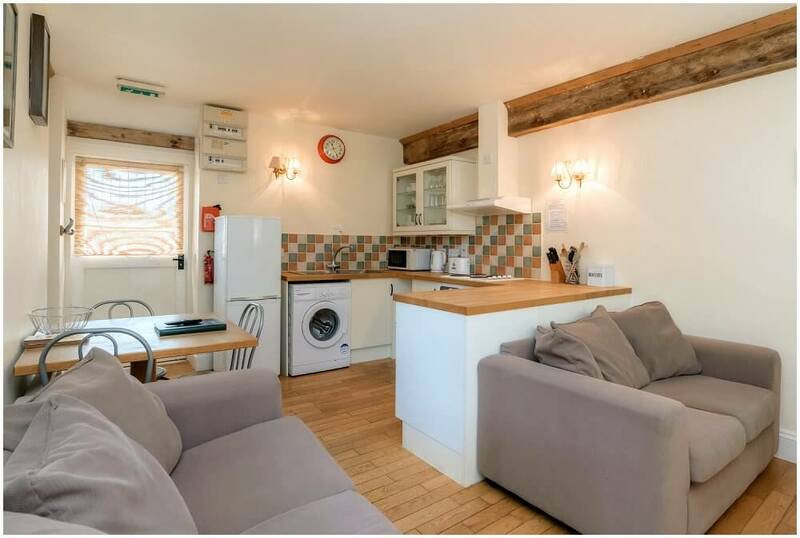 Because of its situation, you may have other guests walking past your door to get to their cottage.